The House voted Thursday to freeze its own pay for the sixth consecutive year. Lawmakers approved 402-14 a $3.3 billion fiscal 2015 spending bill (H.R. 4487) funding the legislative branch, which includes a provision to freeze congressional salaries at current levels. Rank-and-file members of Congress now receive an annual salary of $174,000; the House Speaker earns $223,500 per year, while the Senate president pro tempore and the majority and minority leaders in both chambers each receive an annual salary of $193,400. Members of Congress would have received a $2,800 pay increase next year according to automatic cost-of-living adjustments. House members on Thursday also approved an amendment to the spending bill offered by Democrat Jackie Speier of California that provides $500,000 for sexual harassment training for all House offices. The money would come out of the Architect of the Capitol’s general administration fund and be shifted to the Office of Compliance, which would carry out the training. 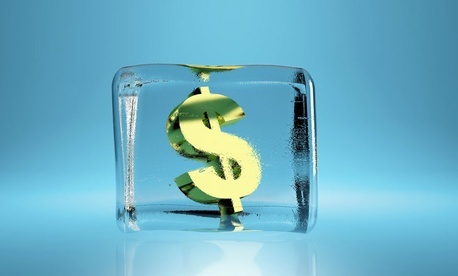 While this is not the first time lawmakers have denied themselves a pay raise – in fact over the last 20 years, Congress has frozen its pay 11 times – this year marks the first time a congressional pay freeze provision has been inserted into the legislative branch spending bill. It’s a sign that the practice could become obligatory, which retiring Rep. Jim Moran, D-Va., finds troubling. Moran unsuccessfully offered an amendment to the spending bill during the committee process which would have provided lawmakers who live 50 miles outside of Washington with a $25 housing stipend for every day Congress was in session. It would have applied to future Congresses since sitting lawmakers are prohibited from changing their own pay while in office. Moran, a 23-year House veteran who lives in Northern Virginia just 10 miles outside of Washington, D.C., is retiring from Congress at the end of this year. The Virginia Democrat is worried that the high cost of housing in D.C., coupled with stagnant congressional salaries, will result in a Congress made up entirely of two classes: the short-timers and the independently wealthy. Moran said young people with families, mortgages and student loan debt, for example – individuals who can relate to the majority of Americans and their financial struggles -- will be deterred from serving in Congress because they can’t afford to. Talk of increasing lawmakers’ pay has become especially politically sensitive over the last few years because of belt-tightening across government; the three-year pay freeze on federal civilian employees, which ended this year; and the epic legislative battles that have tarnished the reputations of both parties in the eyes of the public, culminating in a 16-day government shutdown in October 2013. Moran did not seek a roll call vote on his amendment during the Appropriations Committee vote a few weeks ago, sparing his colleagues from having to go on the record with their positions. Still, Moran’s colleagues gave him credit for staking out an unpopular position. Rep. Tom Cole, R-Okla., chairman of the House Appropriations Subcommittee on the Legislative Branch, praised Moran for making “a very important point,” noting that he shares the Democrat’s concerns “about the long-term character of the body.” But Cole also said Congress has to lead by example when it comes to fiscal discipline. “As long as we are preaching fiscal austerity, we ought to practice a little fiscal austerity,” the Republican said on the floor Wednesday. The legislative branch spending bill is the smallest of the annual appropriations bills. The fiscal 2015 level of funding is the same as fiscal 2014, and is $122.5 million below President Obama’s request.